The American people have been deceived. They thought by voting for Obama the things would change. Wasn't that the great slogan they had? Now, do I not always agree with Alex Jones. But you got to give the guy credit for sneaking into the Bohemian Club at the Bohemian Grove, where he filmed the creepy "Cremation of Care" ritual. As long as the Federal Reserve prints the money for America, nothing will change. Barack Obama is just the next puppet in the hands of ...........? How can we call them? the Illuminati? the Money Masters? the Jesuits? the Freemasons? the Royal Families? the Jews? the Jacobites? the Fabians? It's none of these and all of these above. That's wat is so clever in this conspiracy, all the different groups, all the different organisations, and everything and everybody on a 'need to know' basis. 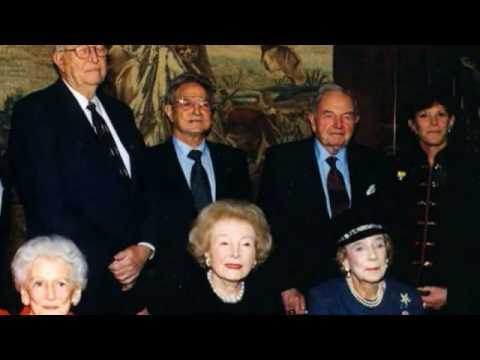 Most people don't realize they are working for a 'One World Government', or at least work for institutes or people who are trying to implement a one world government. What would it take for the people to wake up? A Third World War? Would that wake them up to the manipulation? people behind Barack H. Obama.